I did this sketch of Wiccan from Young Avengers during a round of Sketch Suggestions from my Twitter and Facebook Fan Page feeds. Thanks to Dana Shukartsi and Fabian Guajardo de Luna for the character suggestion. 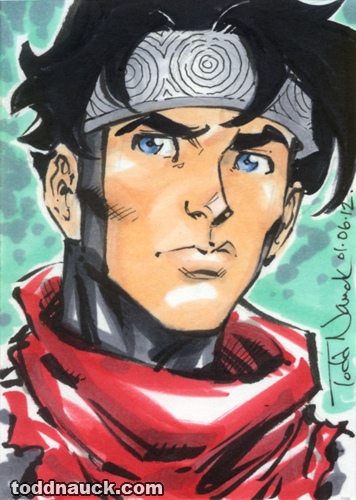 This entry was posted in Marvel, Sketch Cards and tagged avengers, copic, marvel, superhero, wiccan, young avengers by Todd Nauck. Bookmark the permalink.